Upcoming events arranged by Coventry Music and partners. Charanga Musical School is the most significant new Primary music resource for a decade.Twilight training events are held regularly at local schools and music centres across the area. Coventry STAVE will be holding their first meeting on Monday 5th February, 4.30 – 6pm at Coventry Cathedral. King Henry VIII school are hosting an Open Day on 3rd March 10am to 2pm to showcase what the different ensembles are all about, and give students an opportunity to join our ensembles. Coventry Music, in collaboration with Royal Birmingham Conservatoire, will be launching Sound Lab, a new Saturday morning of creative music making. An opportunity for Primary schools to learn, and perform a range of schools, with other local schools in the area. An opportunity to perform all the Mornings of Music Songs in a theatre setting with a live band. Bringing music by Handel, Shostakovich, Lloyd Webber and Tchaikovsky to the atmospheric rear Press Room. Great opportunity for young musicians to perform as part of a large-scale orchestra on a world class stage. Discover the stories behind the music, relax with your friends and meet NYO musicians over snacks at this free event for teenagers. The CBSO are delighted to present our Spring Play-Along Day, where young musicians will have the opportunity to be coached by, and play amongst, members of the CBSO. A chance for families to make music together, joining members of the BBC Concert Orchestra in a series of fun, family-friendly workshops. A performance from a massed school choir as part of the BBC Biggest Weekend Fringe. Come and explore the Conservatoire of the future - our new £57 million music facility is now open. Apply your passion for theatre and performance - discover the courses we offer in acting. Three nights of performances showcasing young local talent in Coventry. Classical Concert showcasing the talented Coventry & Warwickshire Youth Orchestra. Julian Lloyd Webber and the soundlab team invite you to the launch of soundlab Cov. Every year the National Youth Jazz Collective delivers a Summer School for young musicians who enjoy playing improvised music and want to connect with others. Mac Makes Music offers a range of exciting courses for disabled children aged from 2-10 years old including those who have learning difficulties, physical or sensory impairments. NYO perform Mussorgsky's "A Night on the Bare Mountain"
Join the world's greatest orchestra of teenagers for a musical adventure through crashing waves, wild dance parties and simmering soundscapes. Summer JAM sessions - Pirates Ahoy! Don't miss this years Godiva Festival - The UK's biggest free family music festival! 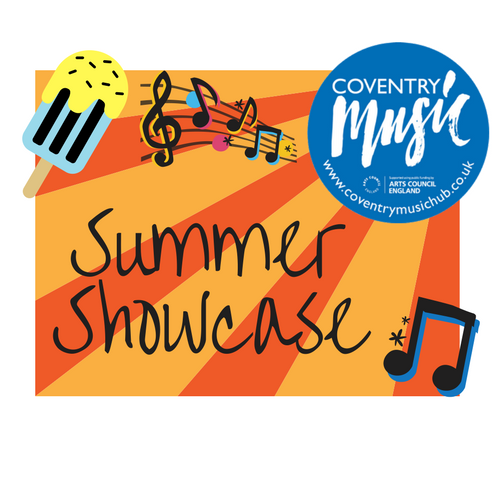 And on Sunday 2nd September we will be showcasing our talents on our own Coventry Music stage. Don't miss out on BBC Music Introducings 3 day music discovery festival - BBC Music Introducing LIVE 18'. It takes place on November 8-10th, 2018, at London's iconic Tobacco Dock. Armonico Consert & Orchestra and AC Academy Choirs presents The Armed Man:A Mass for Peace. An inspiring work to commemorate the 100th anniversary of the Armistice. This Christmas make family memories to cherish! Go on a magical ride to an enchanting vintage sleigh... Journey to Lapland on this magical moving ride, pulled by two reindeer and meet santa. Join the National Youth Jazz Orchestra as we head to Coventry for an eclectic mix of jazz classics and adapted numbers. One for all music lovers! Our annual winter showcase, allowing all the young talent to show their skills! Live on stage- The Rock Band Project are putting on their annual Christmas performance. Come and join us at an exciting new singing workshop opportunity during February half term and sing with a live band!! 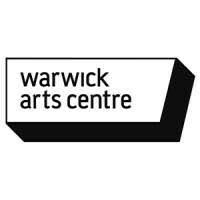 The National Youth Girls' Choir presents its Spring 2019 showcase concert with guest choir Warwickshire Children's Chorus. Join one of our partners - Armonico Consort - in the retelling of Beowulf, one of the world’s greatest mythical tales, in an evening of musical entertainment. Two nights of performances showcasing young local talent in Coventry.